Free parking in building lot and ample metered parking on surrounding streets. 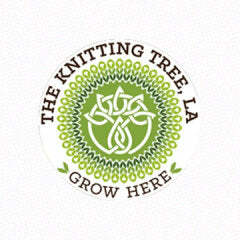 The Knitting Tree, L.A. is a unique fiber lifestyle store in the up and coming arts district of Inglewood, serving the creative and giving spirit of Los Angeles’ new and experienced fiber artists. We are a community sanctuary that believes in great yarn and inspiring, accessible classes for all levels. Come stitch with us and Grow Here!